The McLaren Travel fleet consists of executive custom built Mercedes Benz 8-passenger Sprinters and 6-seater Vianos with S-Class E-Class and Audi A6 cars to fulfill the needs of every one of our clients. 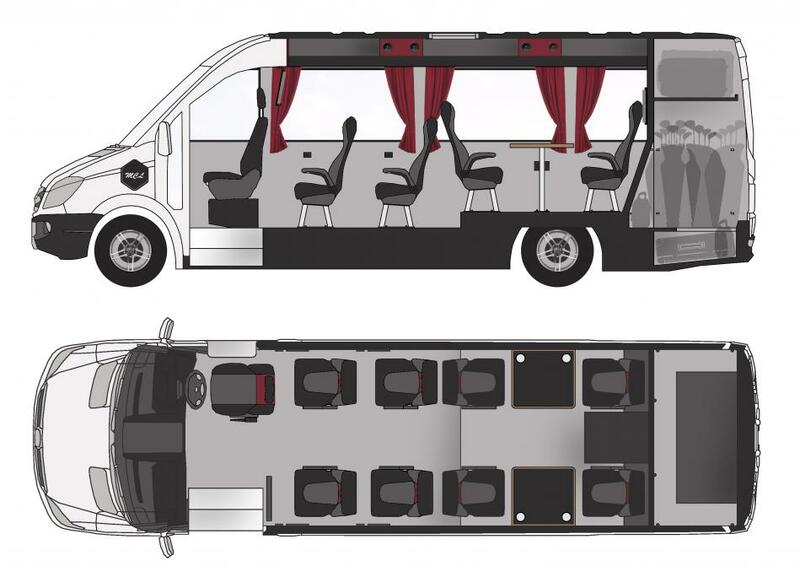 Plan and Sectional drawings below show the make-up of one of our Mercedes Benz luxury 516 Sprinter vehicles with eight individual contoured leather seats, tables and all of the above specifications for the ultimate in comfort when traveling. All coaches comply with the latest safety standards and are expertly chauffeured by drivers who have an extensive knowledge of the British Isles and Continental Europe.